CARLTON Football Club is delighted to announce the appointment of Brad Lloyd in the role as Head of Football. Replacing the outgoing Andrew McKay, Lloyd arrives at Ikon Park with more than 18 years' AFL industry experience, most recently in the role as the General Manager of List Management at Fremantle Football Club where he sat on the club executive and the football sub-committee. Educated with an MBA at Victoria University and Executive Education at Harvard Business School, Lloyd also completed an AFL Executive Course in 2016. He has previously been part of the AFL Player Movement Working Group and was also involved in the GWS Establishment Committee for the AFL. He commenced his career at ESP as Player Manager where he worked for eight years. Brad played 11 senior games with Hawthorn Football Club and 167 senior VFL games. He was also the captain of Williamstown’s 2003 premiership where he is a triple best-and-fairest winner and life member. His father John played 29 games with Carlton Football Club between 1965 – 1967. Chief Executive Officer Cain Liddle said the Club welcomed a person of Lloyd's calibre to Ikon Park. "After a long and thorough process, we are delighted that Brad will assume the role of Head of Football at Carlton," Liddle said. "Brad has been involved in the AFL industry for more than 20 years, first as a player at the Hawthorn Football Club, followed by eight years in Player Management and for the last eleven seasons, has been with the Fremantle Dockers as their General Manager of List Management. "At Carlton, he will assume full responsibility for the Club’s male and female football programs. "Brad has very strong personal values and they align perfectly with our club values. He is highly regarded across the AFL and has a passion for industry innovation. He also has a strong family connection with his father John having played 29 games with Carlton through the 1960s so we're delighted Brad will be joining us in this capacity as Head of Football." Lloyd said he was thrilled about the opportunity of joining the Carlton Football Club. "Carlton is a club with a rich history and tradition, with so many elite players I admired growing up in the local area. I have many fond memories of watching games at Ikon Park," Lloyd said. 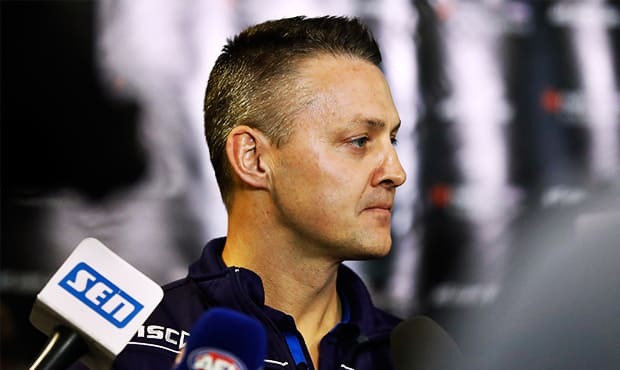 "It is a club that has commenced a very public and strategic rebuild in recent seasons and I am confident Carlton is taking a strong and measured approach to this process which was part of the attraction of the role. "My conversations with CEO Cain Liddle, Football Director Chris Judd and Senior Coach Brendon Bolton gave me great confidence that the Club could not be more committed to its people and the united strategy is a reflection of that. I am looking forward to being a part of this great club." Lloyd will replace current Head of Football Andrew McKay, who has been in the role for almost seven years. The Club would like to publicly acknowledge and thank McKay for his extensive contribution to the Carlton Football Club since he first arrived as a player in 1993. McKay was appointed to the Head of Football position in October 2011 after six years working with the AFL in various roles including AFL Game Analysis Manager and Chairman of the AFL Match Review Panel. In his time at Ikon Park on the Executive Team, the widely respected McKay has overseen the management of the football department including coaches, playing group, high performance and medical teams, as well as recruiting and off-field development. McKay first joined Carlton as a player in 1993 through to 2003, lifting the 1995 premiership trophy and captaining the Club before being named a Life Member and inducted into the Blues’ Hall of Fame. "Andrew is a Carlton person through and through and his impact has certainly been felt across the Club. His incredible work ethic and strong relationships with all stakeholders of the Carlton family is to be commended," Liddle said. "’I’d like to thank Andrew, his wife Sam and children Abbie, Charlie and Sophie for all that they have contributed to Carlton." Lloyd will arrive at Ikon Park at a date to be determined.